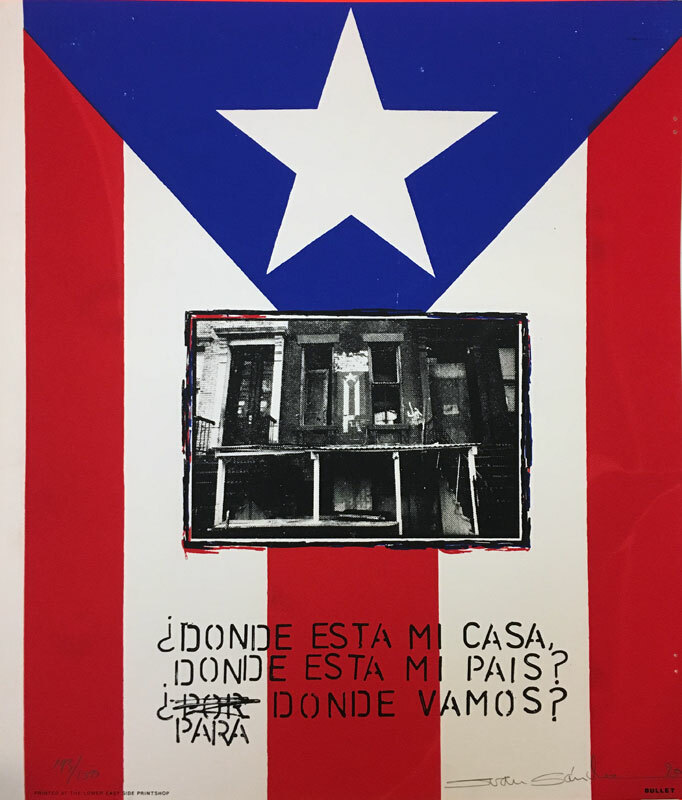 Juan Sánchez, “¿Donde Esta Mi Casa,” 1990, silkscreen print, 20″ x 23″. Available signed or unsigned. Part of the generation of Nuyorican artists that emerged in the 1980s and ’90s, Juan Sánchez uses mixed-media paintings and other formats to celebrate and explore his Puerto Rican heritage and New York upbringing. Sánchez’s work appears in the collections of the Metropolitan Museum and MoMA. He teaches at Hunter College. ¿Dónde está mi casa, dónde está mi país?